Genuine attractiveness comes out from your dressing style and design with this Blue Colour Silk Fabric Unstitched Salwar Kameez. 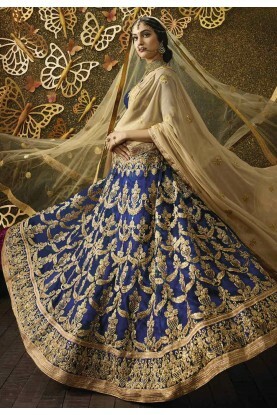 The lovely Embroidery work a substantial attribute of this attire. You're reviewing: Blue Colour Palazzo Salwar Kameez. Turquoise Color Readymade Salwar Kameez.